This post is sponsored by Kohl's. I was paid for this post and received the included clothes as compensation. As always all opinions are my own. Thank you for supporting the brands that support The Classic Brunette! Is anyone else sick of this heat? I feel like I'm always waiting for summer to roll around when it's cold, but once it gets here I want nothing to do with it, haha! Fall is my favorite season, so I can't wait for the leaves to start changing, the weather to cool down, and of course to pull out all my favorite fall outfits. After spending a good amount during the summer season, I'm definitely going back to my roots and doing some affordable shopping this season! 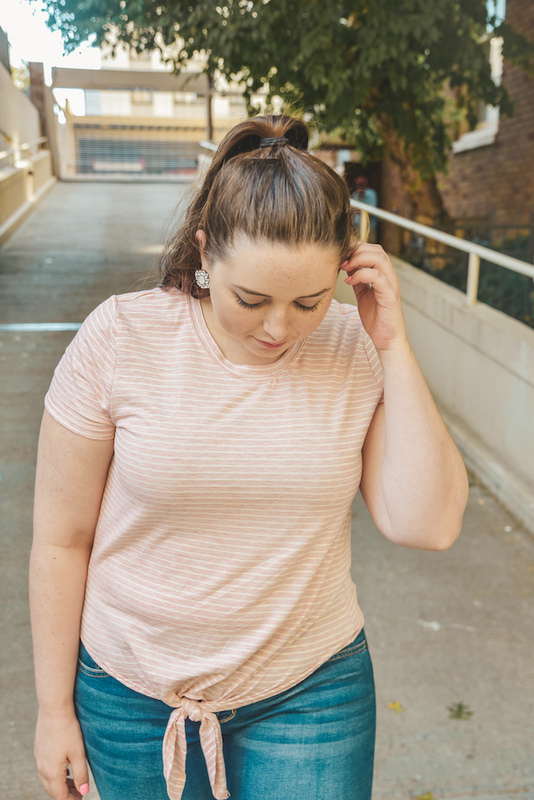 Kohl's has been a family favorite of mine since I was young with my mom taking my sister and I there every season to pick up both basics and trendy pieces. Today I'll be sharing three different looks from Kohl's juniors section that are just perfect for the transitional and fall weather! Before shopping in-store at Kohl's I also browsed their juniors section online, just to get a feel of what they had in stock for fall. It had been a while since I had shopped at Kohl's, and I forgot just how great the deals were! It seems like they're always having a sale, but even when they aren't the prices are so budget friendly! Something I've fallen in love with recently is tie front tops. 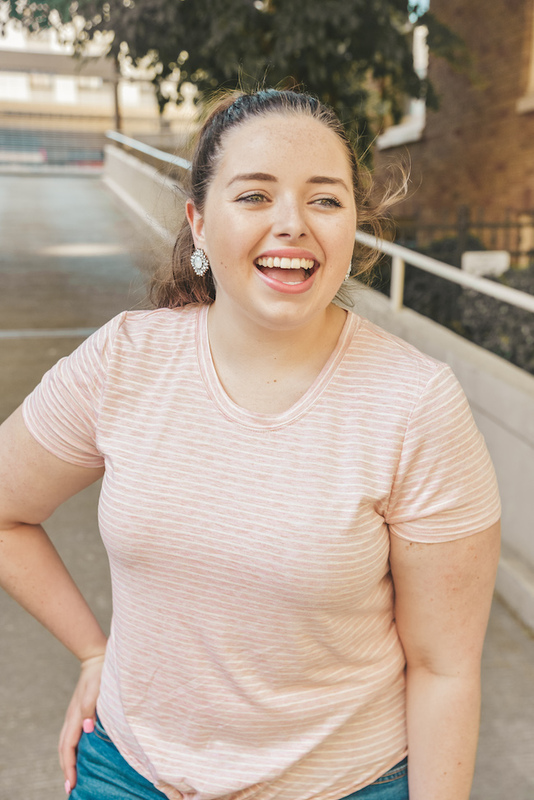 Kohl's has so many of them, but this t-shirt style from the brand SO is probably the most comfortable! I picked up a few of them in different colors, plus a few other styles (check out the outfit below!). This outfit would be great for back to school or just a casual day since it's so easy to throw on in the morning and head out! I also picked up these comfortable SO jeggings, which to be honest feel just like regular denim. And you really can't tell the difference at all when looking at them, the only difference is the price tag! Anyone else hate spending a fortune on denim? I chose to pair these two more casual pieces with some girly accessories, just to keep true to my natural style. 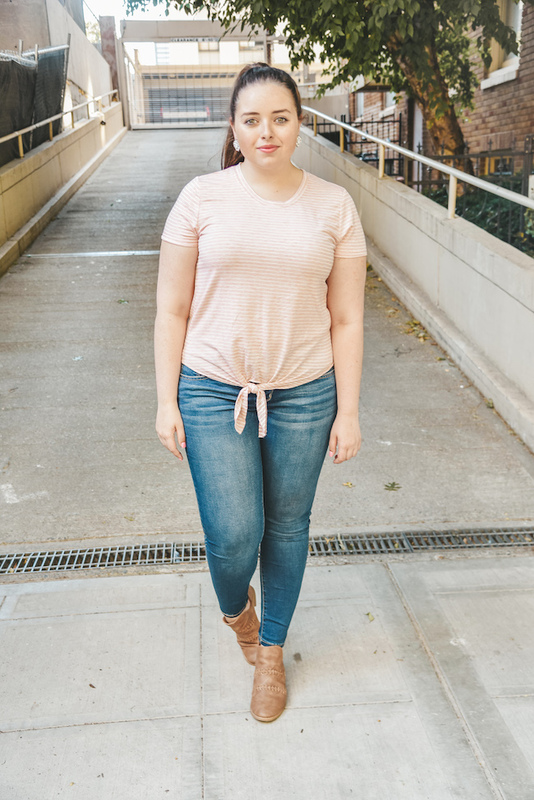 I'll be repeating this look until the end of summer, and then once the cooler weather hits I can simply add a jacket or cardigan to complete the look! Don't you love when outfits are this easy to put together? This might just be my favorite outfit of them all! Although I love a good casual outfit, I can't resist dressing up. 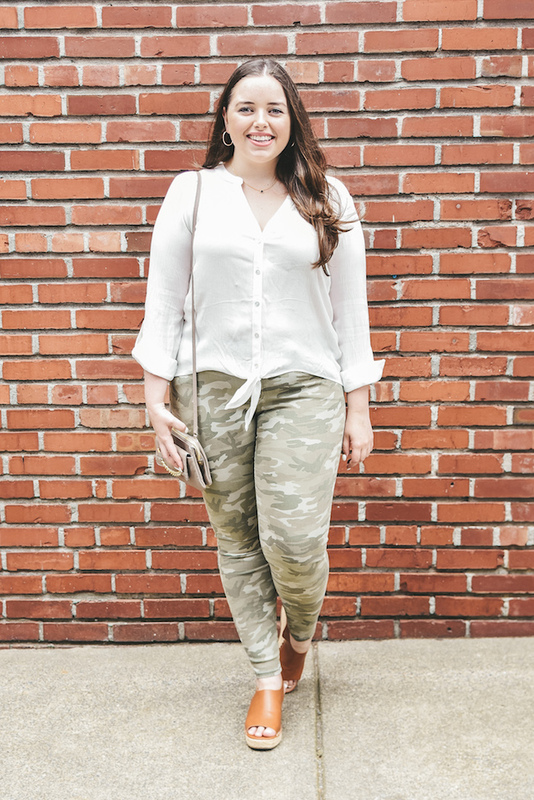 This button up top and camo pants combo is the perfect combination of comfort and style. I wanted to put together this more business casual look to show that us young professionals can definitely still shop in the juniors section. Not only is it more cost effective for us, but the actual clothes are still just as appropriate. The clothes here add a little trendiness and youth to the more traditional business wardrobe. 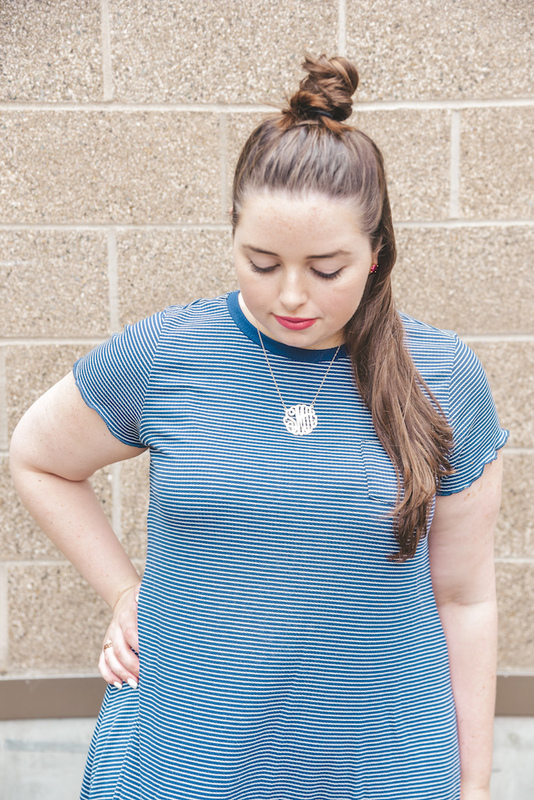 As I mentioned before I've been falling in love with tie front tops, and this one from Candie's just proves they can be worn in both casual and more formal settings! I know some people are still wary of shopping in the juniors section if you aren't well, a teenager, but I'm just here to tell you that this section really doesn't discriminate on age. You just have to know where to look for the right pieces! 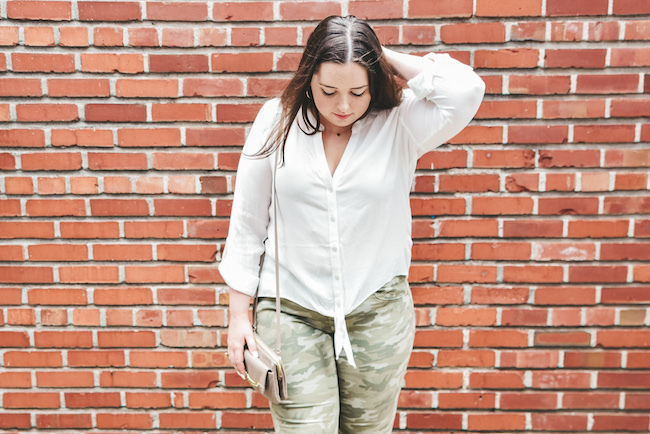 Camo print has been 'in' for a while now, and I still can't get enough of it. I believe it will be one of the staple prints for fall, just as it was last year! 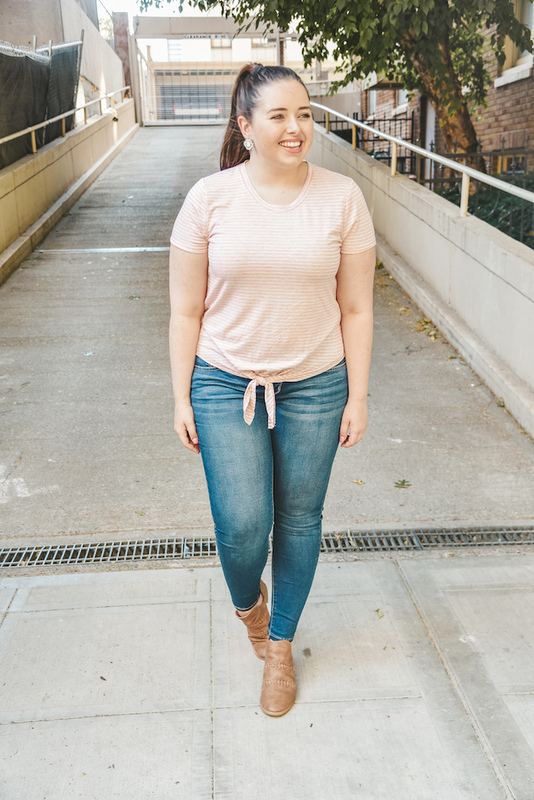 These SO brand jeggings are incredibly comfortable and I have a feeling I'll be reaching for them every chance I get. Just be sure to stick with a more minimalist look on top to make the print really pop! Also, my purse is actually from Kohl's as well! It's a few years old, so it's no longer available. It's a great reminder that even though the prices can't be beat, the quality isn't at all sacrificed! While we still have some summer heat, I'm taking advantage and wearing as many dresses as possible! 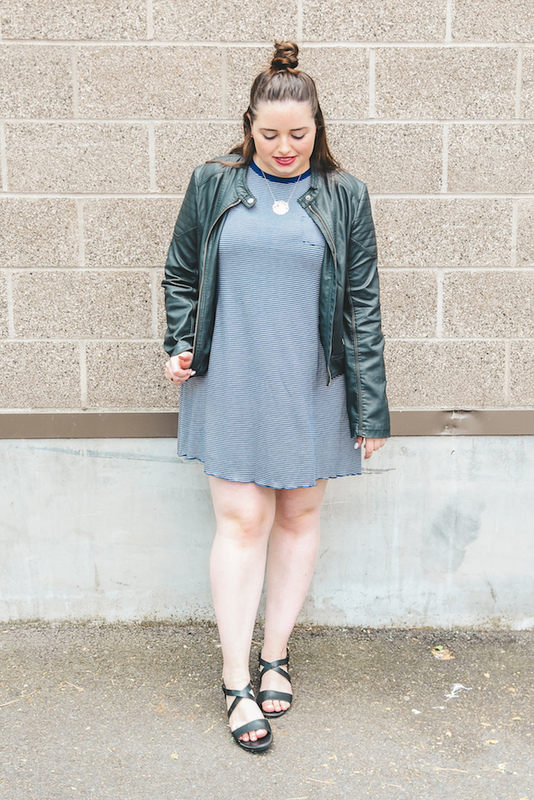 T-shirt dresses are so versatile, and are great for dressing up or down! This one from the Love, Fire brand in particular is the perfect length, always important for me since I have legs on the longer side. Also how sweet is the ruffled edges? I love when clothes have that little extra detail to make them special. Another thing I love that has to do with all of these outfits is their price. Like I mentioned, Kohl's has some ridiculously amazing prices. None of these clothes break the bank, which means you get more for your money! Isn't that everyone's dream when shopping? Young women like myself are always searching for that next trendy piece, especially if you're still in school. It seems like everyone around you has got their looks together, and now you don't have to fall behind! Kohl's has everything you're looking for and more for trendy girls like us! AND right now you can get $10 off $50 on all Back To School categories from 8/3 to 8/19 with the code BTS10. Any affiliate links are not associated with Kohl's. My blog may contain links to other websites. I am not responsible for the privacy policies of those other websites. When you click on a link, your information may be collected by those websites so I encourage you to read their privacy policies. Low rise jeggings are a favorite of mine! Love all of the outfits!! These outfits are all adorable. I love that you can mix and match all of these pieces! So cute! Great outfit ideas! You're so cute!! i love that striped dress on you! Makes that lipstick pop! :) I haven't shopped at Kohls in SO LONG. Your camo pants are so fun! To be honest I was never sure if I liked it on me or not, but then I saw a denim skirt the other day and I think I want to try it! These outfits are all so cute! I am so ready for the fall. I love the striped dress! Great choices. These looks are all so cute! I seriously can't wait for fall. Also, I am loving that jacket! Love these outfits girl!! Makes me so excited for Fall!! We're in the middle of Winter here in Australia, so I'd gladly take some of that head off your hands aha. Love camo too! All of these outfits are so cute! My Nordstrom sale purchases have all finally arrived and now I can't wait to wear all of the sweaters!! I'm so excited for Fall! I'm so loving these looks - that dress is my favorite! these are all great and versatile! i'm with you - this heat has to go! I'm so ready for fall fashion! I'm over the heat lol. Even though in Atlanta, we will have the warm weather until October/November LOL. 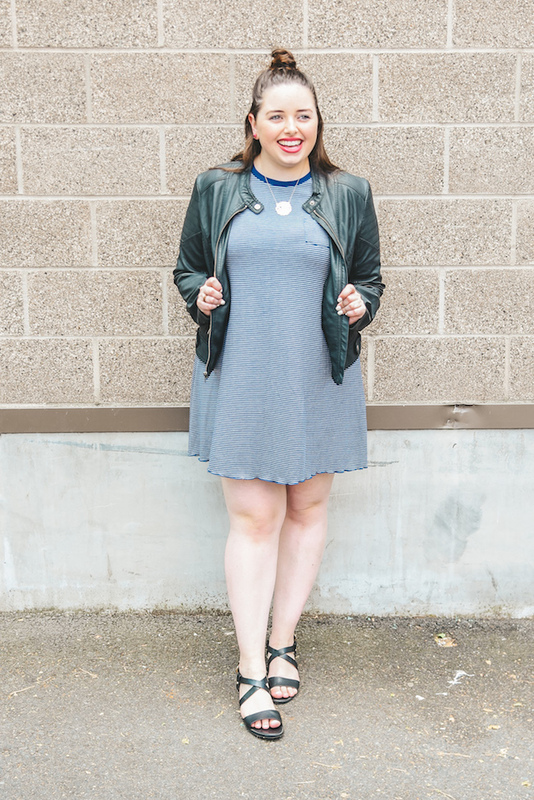 I love t-shirt dresses, and I can't wait to rock them this fall! Gosh, you're making me crave autumn so desperately. It can't come fast enough! I adore fall fashion, so this post had me so excited. And Kohl's always has a great selection for fall. I especially love that second outfit. You're rocking these looks! you look so good! i honestly don't dress that nice anymore. I totally love that stripped dress its so cute! The first look is definitely my favorite!! I love the high ponytail with the cute tshirt. You're all set for fall! Give me all the camo for fall!! I can't wait for Fall! The first top is so cute too!! Great outfits! It's starting to cool off in the mornings here, so I'm definitely looking forward to Fall weather already! I can't believe fall is almost here!!!! Love your outfits :) It's still super hot in Florida. Totally agree with the camo print - it goes with ANYTHING!!! So many cute outfits!! You look fantastic!! Super cute!! Would def be rocking these outfits! Can't believe all the goodies you scored!!! Love them all and def need to check out Kohls pronto!!! 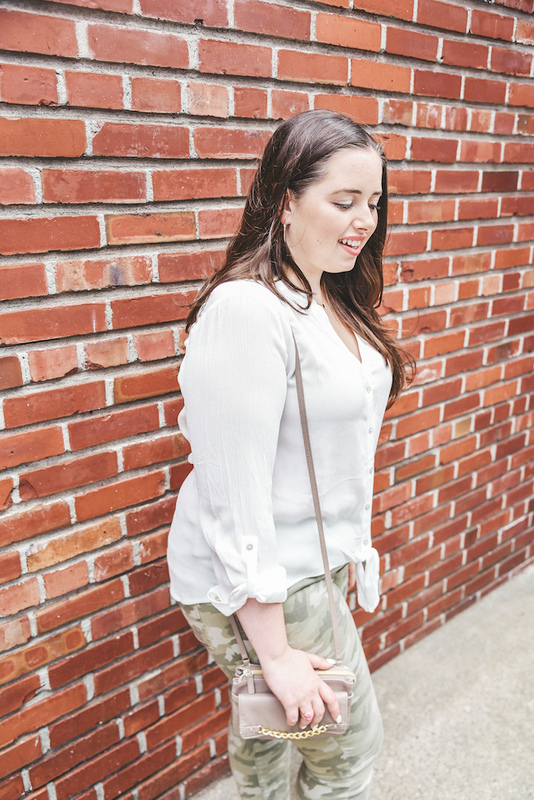 Loving these everyday style looks! I'll keep these in mind for the fall season! These are all soo cute! 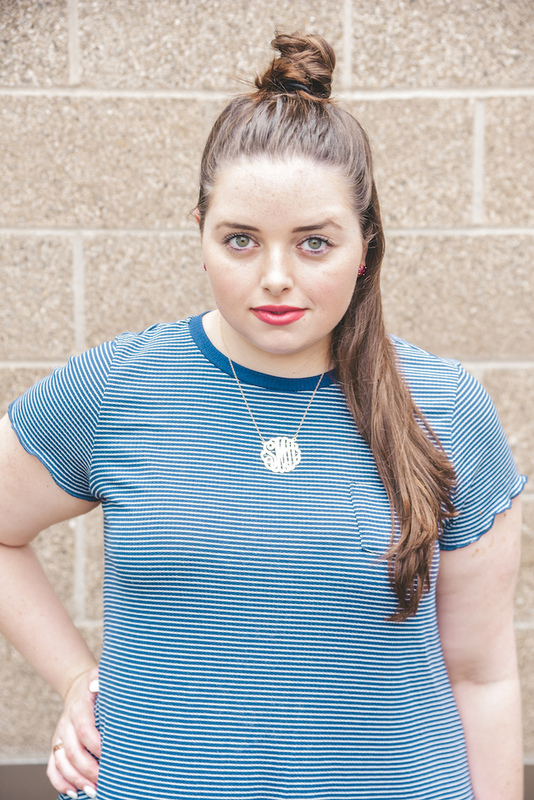 That first striped tee is my favorite, so versatile! 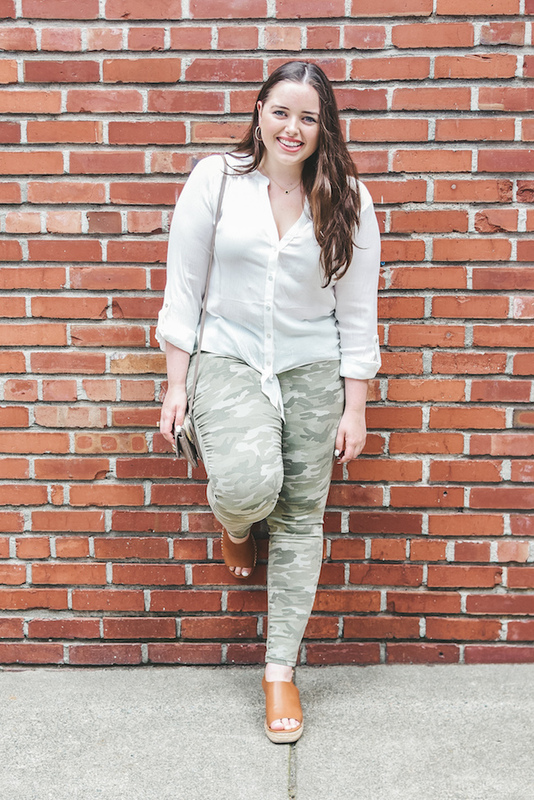 Love your outfits in this post! I really like shopping at Kohl's. I always find a great selecting of clothing and being able to use Kohl's cash and saving anywhere from 15-30% off with my Kohl's charge card is an added bonus! Girllll, I know this struggle! I always want summer when it’s cold but when it’s warm, bam! Now I’ll settle for fall as well. I do love your outfit selection though, the second one is my fave!